There’s the pleasure of growing up with a dog—and then there’s the joy of growing up with a lab. 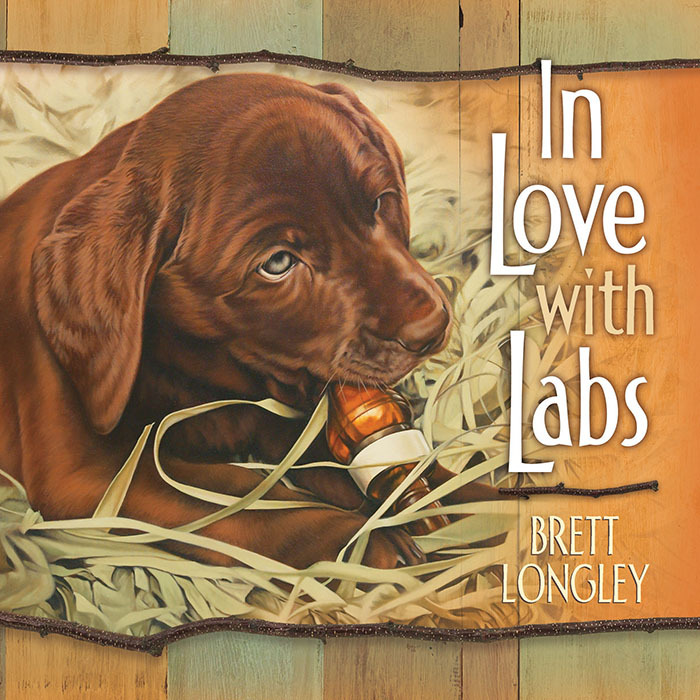 For artist Brett Longley, growing up with three labs was a life-enriching experience. 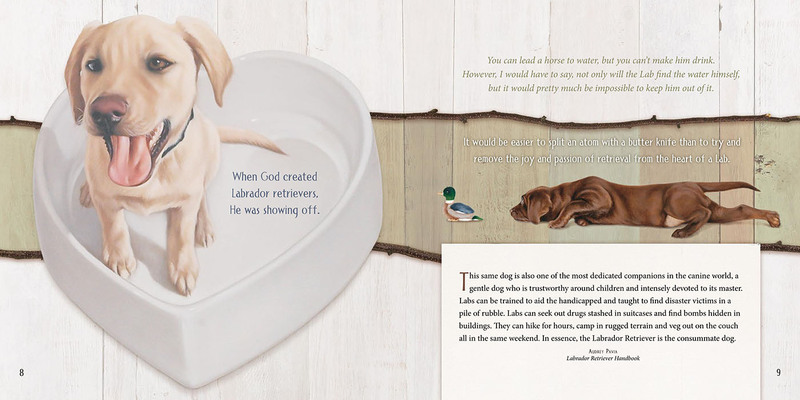 Here he’s assembled a magnificent collection of favorite paintings that show labs at play, labs at rest, and labs bringing joy and happiness to everyone whose lives they touch. 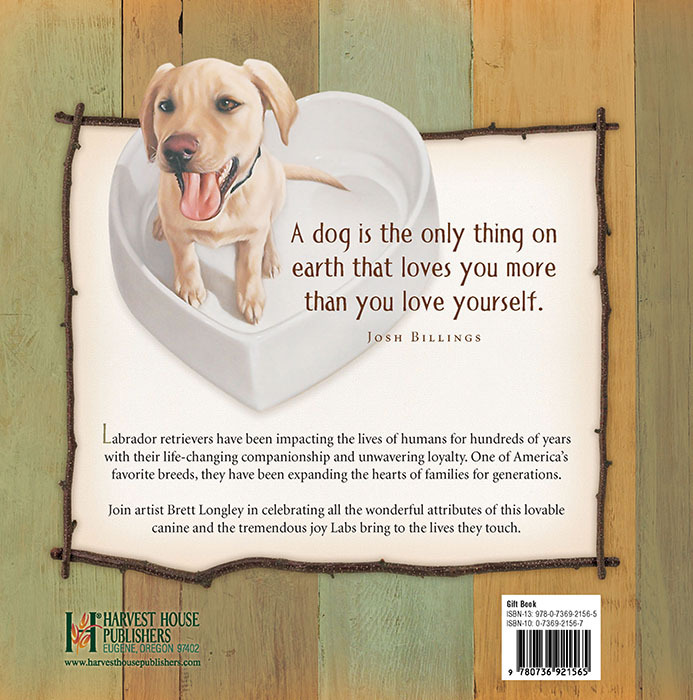 The forever friendship shown by this famously loyal breed is characterized in entertaining quotes and heartwarming story excerpts from a variety of writers—everyone from Will Rogers to Lord Byron to Dave Barry—who sing the praises of labs black, yellow, and chocolate. Langley’s detailed, realistic paintings masterfully capture the devotion, good temper, and charm of this popular breed. Every lab devotee will applaud this celebration of this one-of-a-kind dog’s legendary patience, loyalty, and loving disposition. Canada native, artist Brett Longley illustrated his first book cover at the age of 19 and within 12 years, his art has appeared on many covers, limited edition art prints, and posters. Longley uses his talent to explore the bond between man and his faithful companion—the dog.